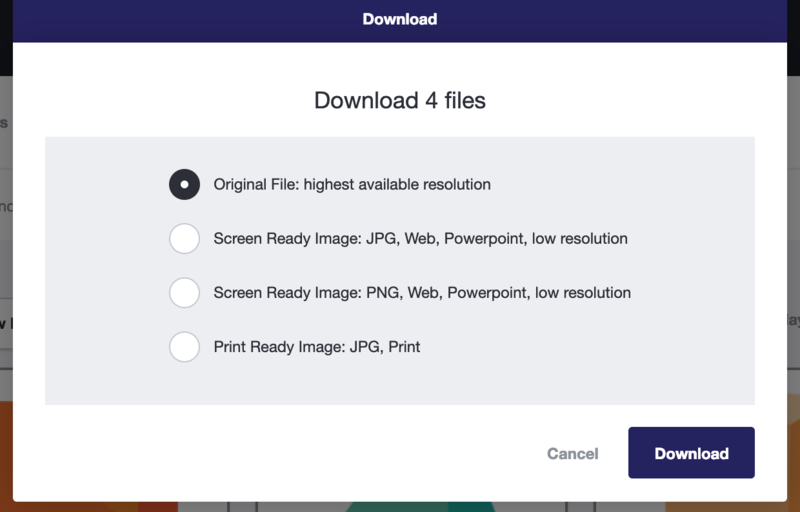 Image Relay provides several different resolution options for your file downloads. Image Relay allows users to choose from different download resolutions. In this way admins need only upload the highest resolution files - we make three download conversions on the fly for you. Select the file or files you want and click Download. You will then be given some download options.